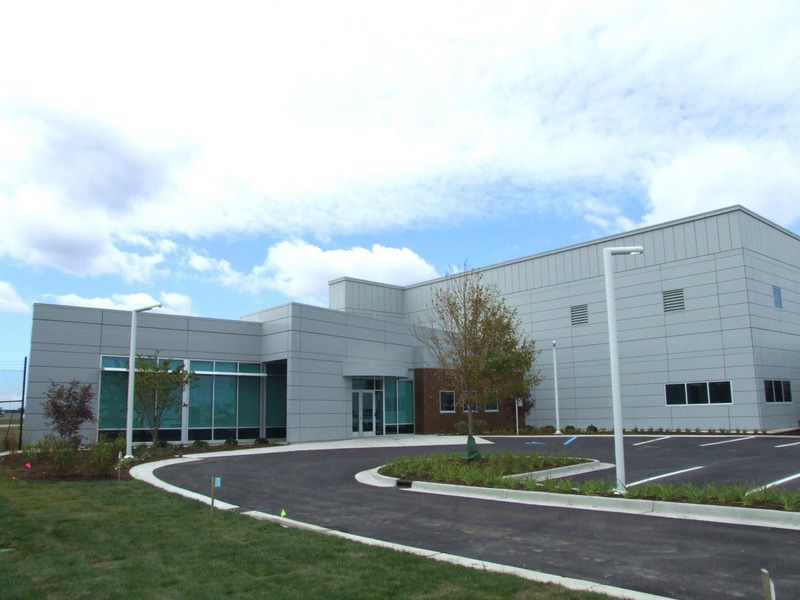 Wolverine Building Group constructed the Bissell Hangar and Corporate Lounge located at the Gerald R. Ford International Airport in Grand Rapids, Michigan. 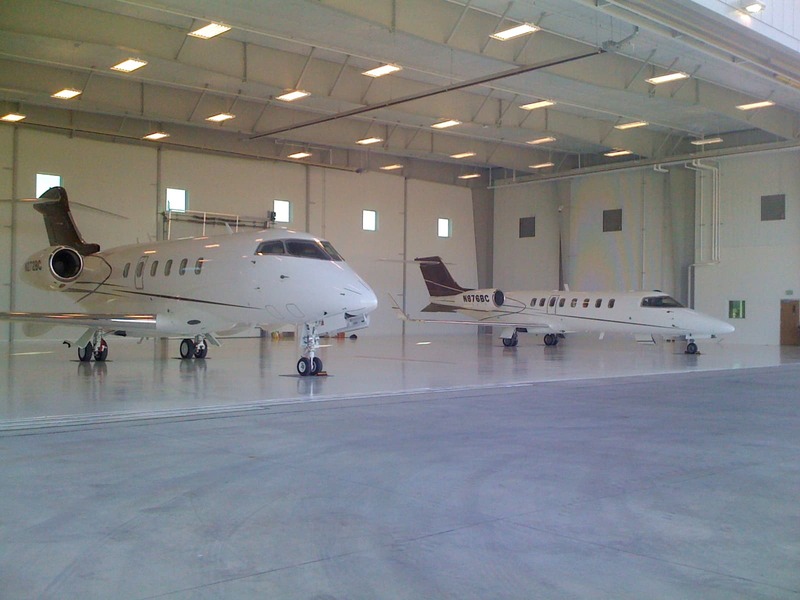 The hangar was designed to house Bissell’s jets and serve as a welcoming point for incoming clients. 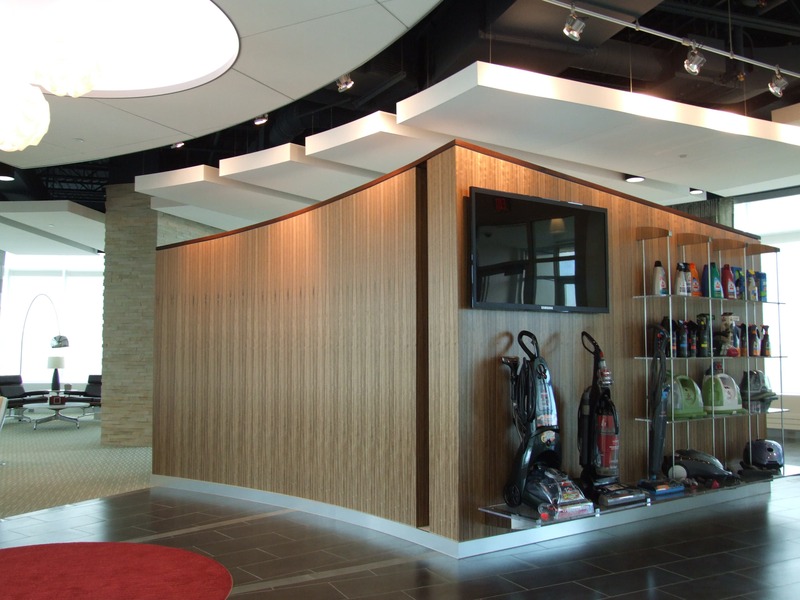 The corporate area of the hangar involved the construction of a kitchen, a relaxing lounge area with a fireplace, and a small office space for business meetings. Stylish finishes and fixtures were selected including ceramic tile floors, granite countertops, Paldao doors, glass walls, and custom cabinets. Curved floor-to-ceiling windows were installed to provide an abundance of natural light and offer amazing views of the airport runways. 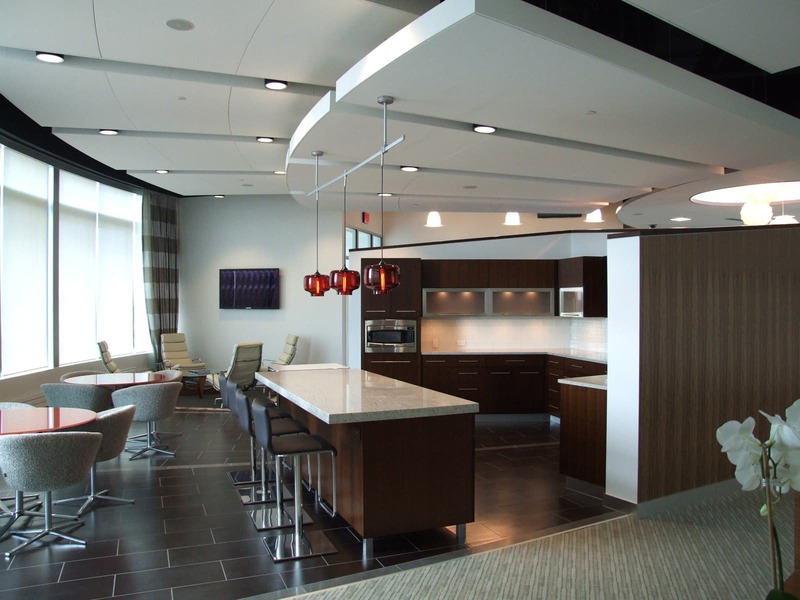 In addition, the entire building was equipped with a sophisticated Crestron control system that remotely controls everything from the video/audio, blinds and shades, HVAC, and fireplace. 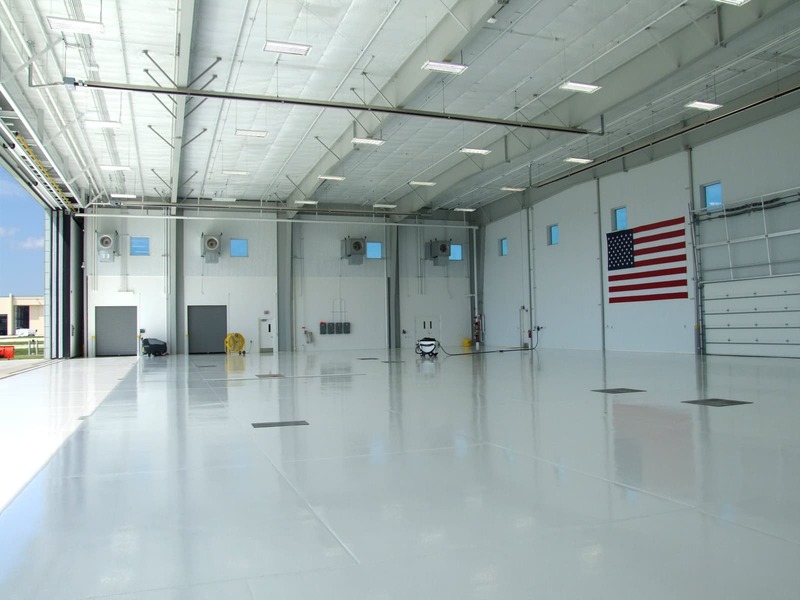 The project also involved the construction of the hangar which features white metal linear panel, painted steel, and a glossy white floor providing a clean, bright environment to store and maintain the jets.